That’s it. You’ve had enough. 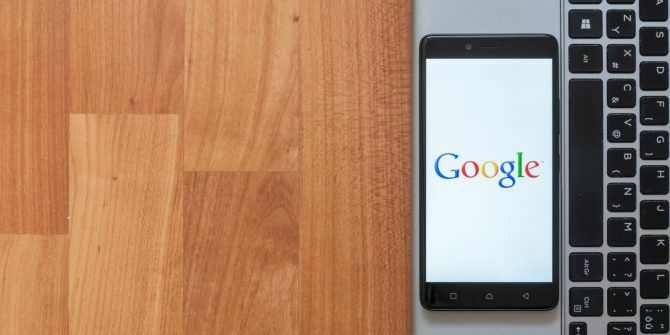 Google knows too much about you Five Things Google Probably Knows About You Five Things Google Probably Knows About You Read More , has been spying on your browsing history FOR SALE: Your Browsing History -- So What Can You Do? FOR SALE: Your Browsing History -- So What Can You Do? An FCC ruling that the ISPs must obtain permission from customers before selling personal data could be reversed. Your ISP is about to set a price for your personal data. How can we fight back? Read More for too long, and exerts an unhealthy level of influence over the apps you use every day. It’s time to delete your Google Account. Enter your Google Account credentials and hit Sign In. Go to Account Preferences > Delete your account or services. On the next screen, select Delete Google Account and data. Google will prompt you for your username and password. You will receive an email confirming your deletion. Click on the link to complete the process. Have you deleted your Google Account? Was the process straightforward? You can leave your stories and feedback in the comments section below. Explore more about: Google, Online Privacy. What's interesting is Google says it will never recycle your deleted user name so the question is. Because your information stays on a server indefinitely so even though you can never access it. I think it would be nice to allow use to place a account as idle or not active so at least if you change your mind you could reactivate it. Excellent post. I was checking continuously this blog and I am impressed! Extremely helpful info specifically the closing phase :) I handle such info a lot. I was seeking this certain information for a long time. Thank you and best of luck. In fact no matter if someone doesn't understand after that its up to other visitors that they will help, so here it takes place. Deleting an online account (in this case Google) is like deleting files off an HD, it is a logical delete, meaning you only delete your connection to it. The account information is still there, you're just not able access to it. If your account was actually physically deleted then you would not be able to recover it, no matter what you did and/or how fast you did it. Besides, once something is posted/recorded on the Internet, it stays on the Internet, in some form, forever. LOGICAL delete - only the directory entries pointing to the location of the data are overwritten. Data can still be recovered with the use of proper utilities. PHYSICAL delete - both the directory entries and the data are overwritten with zeros or other characters. For all intents and purposes, data cannot be recovered. The idea is not bad in my opinion - your data (so: your privacy) is their power. Faceta, você precisa tocar na pegada dela.